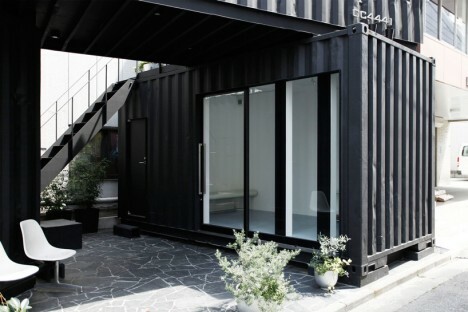 Incredibly strong, durable, lightweight and affordable, shipping containers are integrated into into all sorts of architectural projects, whether they’re still highly visible components or completely disguised. 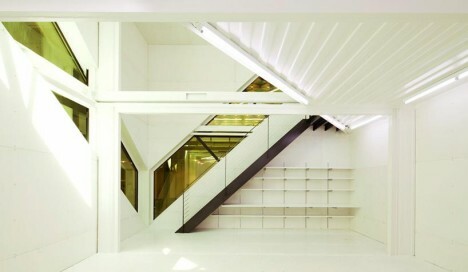 Since the focus is on practicality and price, the resulting structures aren’t typically too pretty. 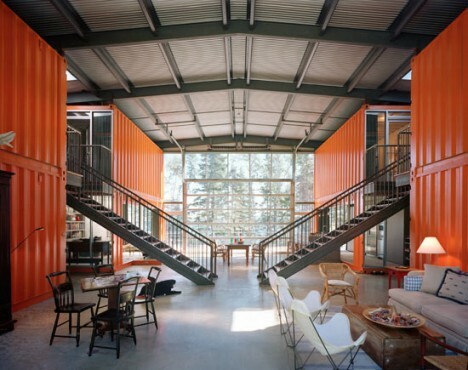 These 10 converted shipping container houses, schools, galleries and train stations prove that in the right hands, reclaimed crates can be beautiful, too. You can’t even tell, from inside or out, that this home in Wuxi, China by ArcAgency was made from three shipping containers. 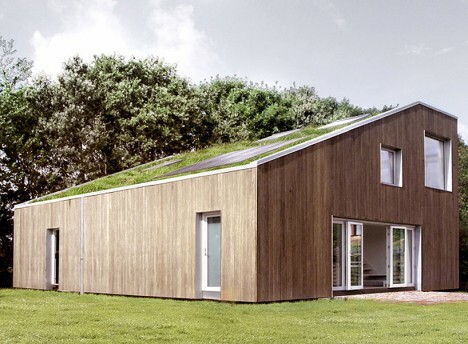 It’s set on a steel frame and covered with a sustainable bamboo facade, and even features a solar cell-clad green roof. 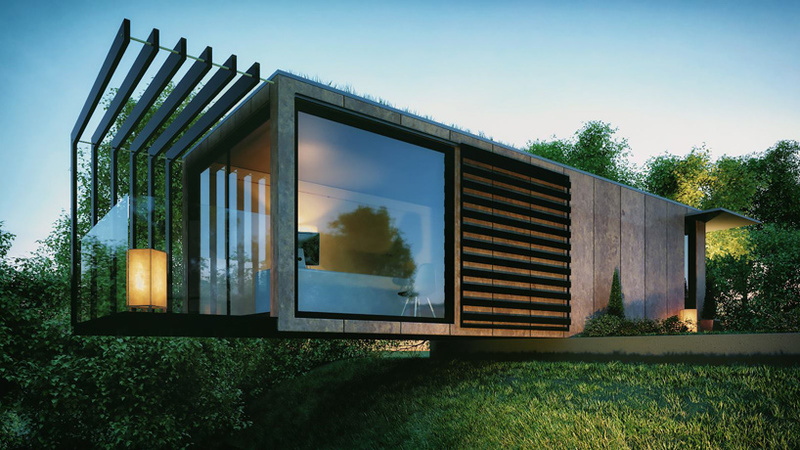 Producing more energy than it consumes, the modular unit is a prototype for this new way of building. In addition to being made into a single-family home, it could be stacked into multi-story townhouses. 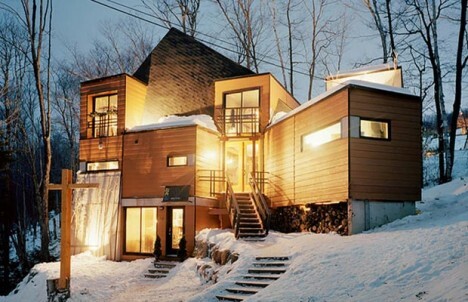 Seven shipping containers form the basis of the Maison Idekit in Quebec, which disguises them from the outside but leaves them visible inside. 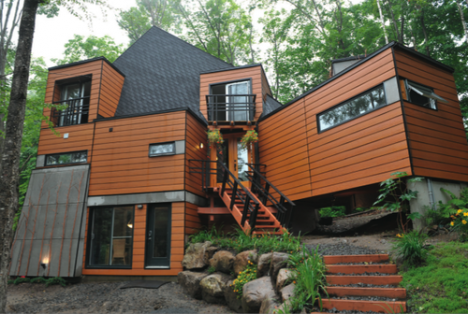 The container shapes, covered in timber, can still be discerned from the house’s silhouette, some jutting out at angles and others stacked in the center. Maison Idekit helps homeowners craft containers into their own custom-designed, low-cost homes. 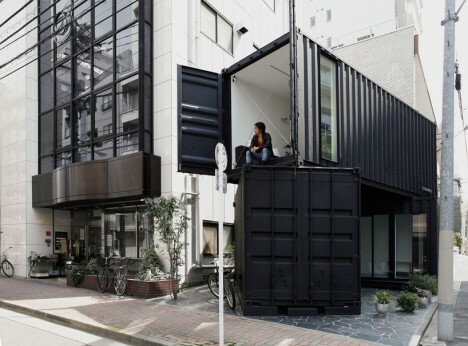 Two shipping containers stacked at an angle take advantage of a tiny sliver of land in urban Tokyo, and can easily be moved as needed. 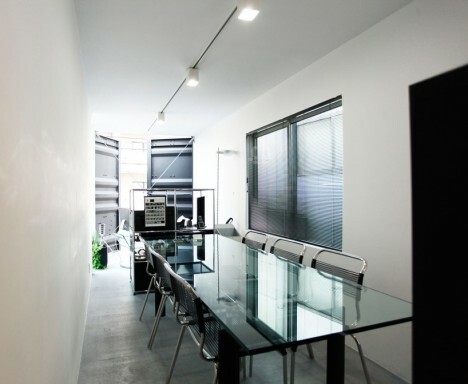 Tomokazu Hayakawa architects split one of the containers in half to form the ground floor gallery spaces, with the second crate functioning as an office. They simply painted the exteriors black, but framed out the interiors as required by Japanese law. The hatch doors still open to let in light and air. 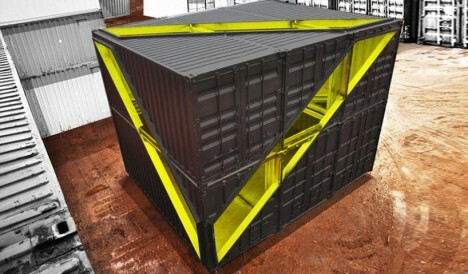 When New York’s Whitney Museum of American Art needed a new gallery and education space, they turned to shipping container experts LOT-EK to craft a temporary low-cost structure that would see them through until the museum moved to a new location in 2015. 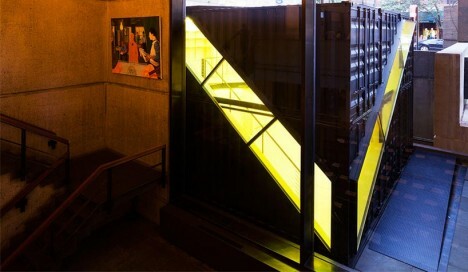 Six containers stacked two-high are sliced diagonally, the operable windows highlighted in neon yellow. 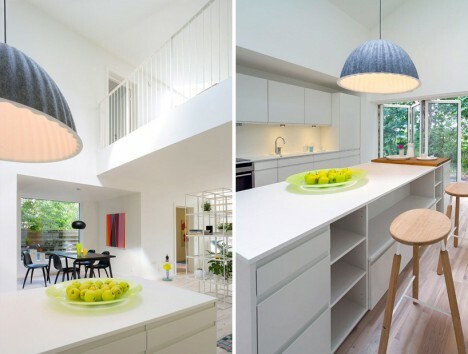 This cut-out detail makes the structure more dynamic, and improves air flow inside. 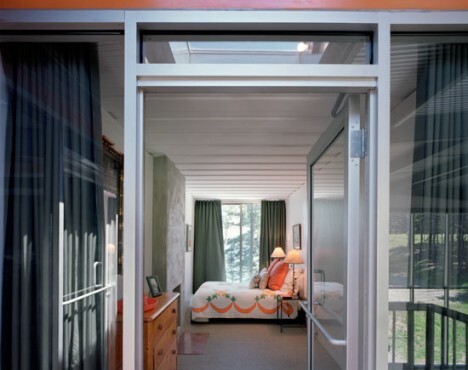 Not only do the 12 shipping containers that make up the Adriance House in Maine help hold up the glazed envelope that surrounds them, they also function as individual rooms within a room. 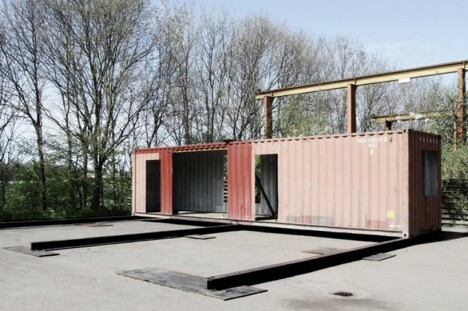 Two of the containers are cut open on the ground level to connect the kitchen and living rooms to the common area, while the rest hold bedrooms, bathrooms, offices and lounges. 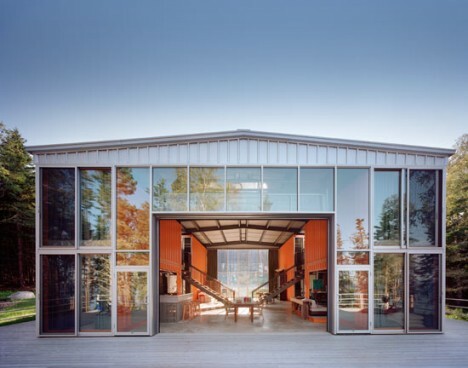 The whole home measures 4,000 square feet and can be opened to the outdoors via a double-height garage door.